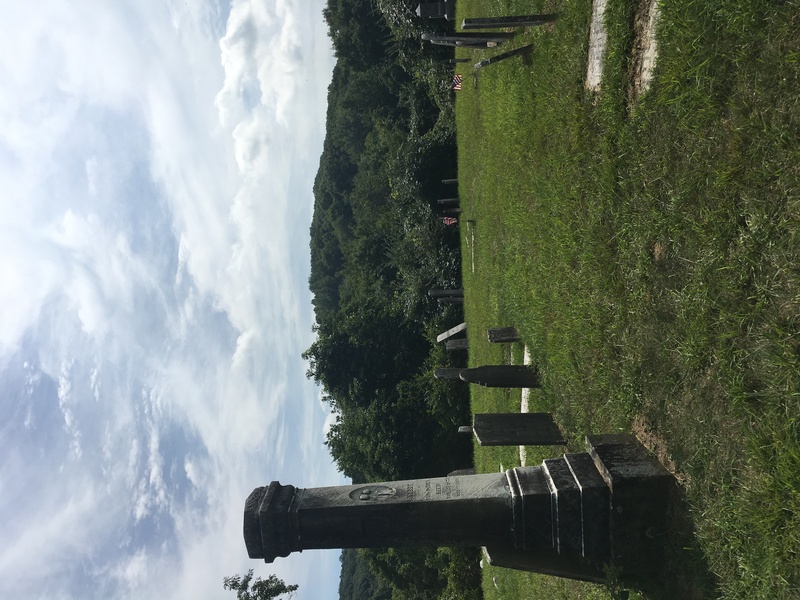 Dating back to 1790, Gunntown Cemetery is said to be haunted by spirits of a man with a lantern leading a horse, a little boy who plays near the back wall, and a black ghost dog. Orbs, mists, cold spots and unexplained music and laughter also have been described by witnesses. Been to guntown a couple times with my team. definatley haunted. PERSONALLY SAW THE BLACK GHOST DOG AND WE ALL HEARD CHIANS! did evps and got voices back. one told us to “walk, please” as if they did not want us their. i would say whenever you go you will deffinatley find a presence with you. happy hunting. 10/10 place to go with actual results!!! Team? What group do you have ? I am 33. I grew up in Middlebury and my aunt and I went to Guntown before iphones and all of that stuff. We had the old school vhs video recorder that you had to hold on your shoulder and a little cassette tape recorder that my aunt pressed record and put a little doll on a young girls grave. So we get home and reviewed the VHS which my aunt STILL has. There is a RED outline of a man with a lantern CLEAR as day and when we reviewed the cassette tape a little girl’s voice came through saying” LOOK MOMMY’ talk about creeps. I was also told that Lorraine Warren will NOT go to that place ever again because she said that it is on of the most EVIL places she has ever been. My daughter & I visited this cemetery. I plugged only gunn town road into my gps, no number. Gunn town road is several miles long, yet when we approached the cemetery, my gps stated that we had reached our destination. My dog was with and he immediately began running around as if he was playing with children. Both my daughter and I heard what sounded like calliope music- 4 bars coming from the center of the cemetery. This is not a scary place- it left both of us feeling light and peaceful- even though so many buried there are children. Back in the 1980s, I had more than 1 experience with Gunntown. The first one was in 1982. My girlfriend at the time and I went parking there one night in late August. We decided to ‘take a break’ and go for a walk into the cemetery (gates were unlocked and open). As we were walking towards the rear left corner of the cemetery, we saw what I can only describe as green glowing ‘eyes’ in a bush. But I am talking about 4 feet from the ground! One minute they were there, next they were gone. Right after, we heard this unearthly ‘groan’ followed by the worst smell I ever experienced. We were both so scared, we ran back to my car and got the hell out of there. Not long after, we got our guts up again, and went back, this time with 4 other people. It was raining that night and as we sat in my car in front of the gates, I swear to God, an apparition of a child walked thru the car (which became very cold) and into the cemetery. Again….I left about 2 tires worth of rubber on the ground leaving! Other things I have experienced is the electrical system in my buddy’s car going dead as we drove by, only to start working again when we passed the bounderies (more than once) and the weirdest to date was one day, my girlfriend (now my wife) were out for a drive and there was this old guy dressed in old time farmer’s clothes standing in front of the cemetery as we drove by staring at us. About a mile or so down the road, there was the same old man standing by the side of the road, intensely staring at us! About 10 min later as we drove back towards the cemetery, he was once again standing at the gate. Haven’t been back yet. These are only a few of the ‘calmer’ experiences I had there. For more, email me.